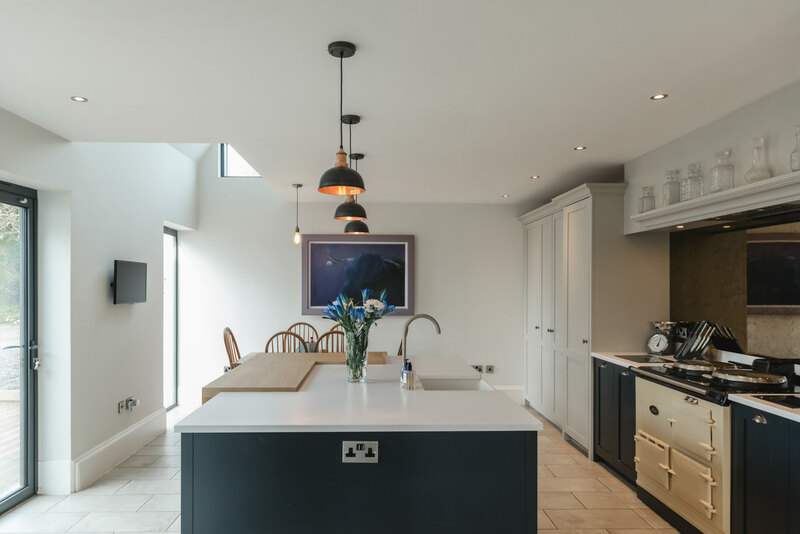 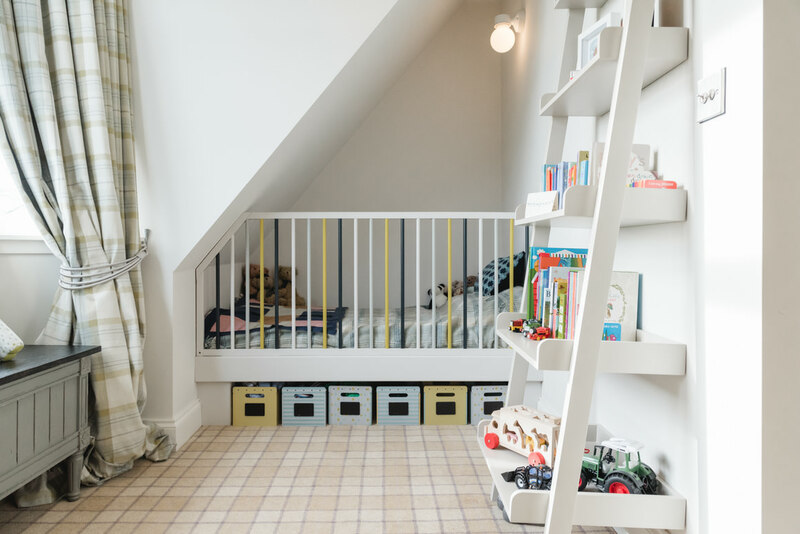 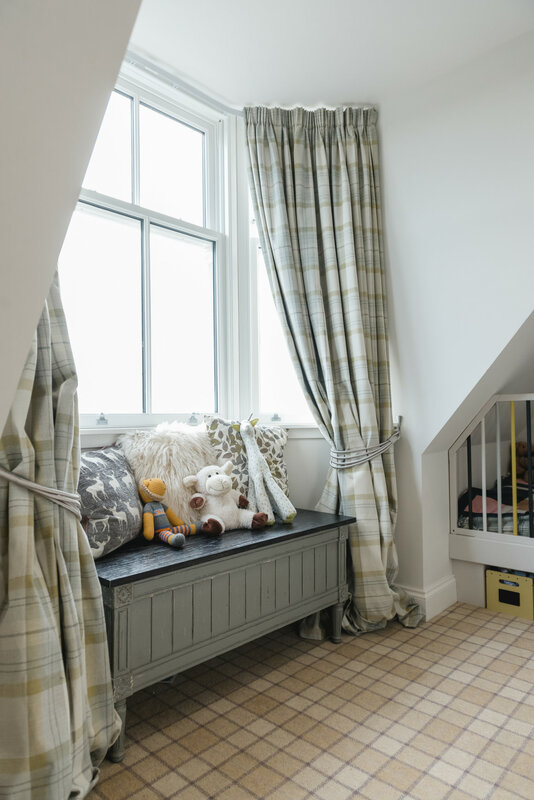 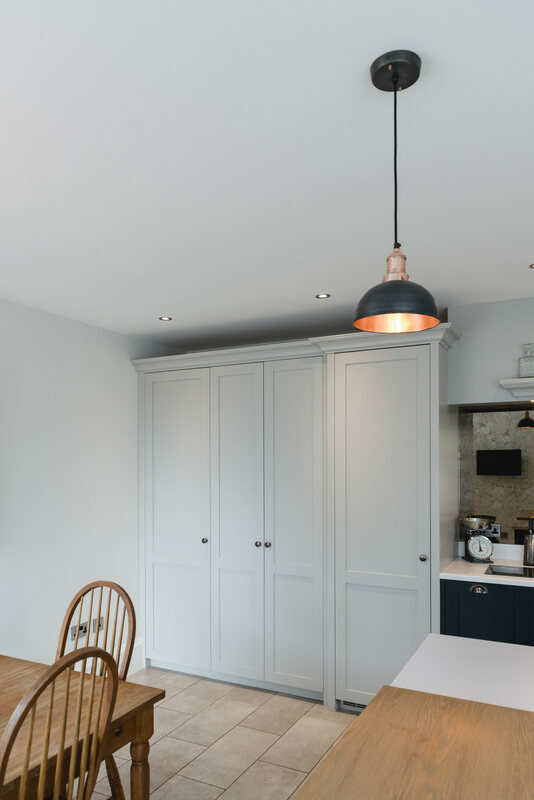 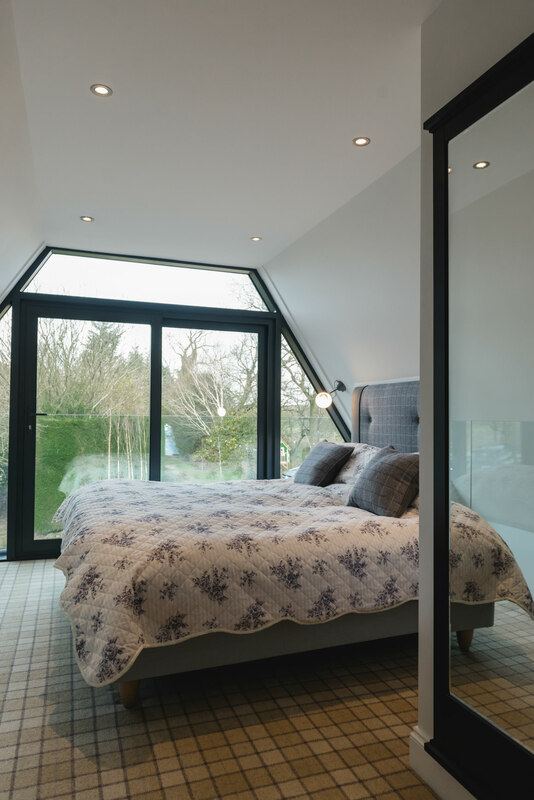 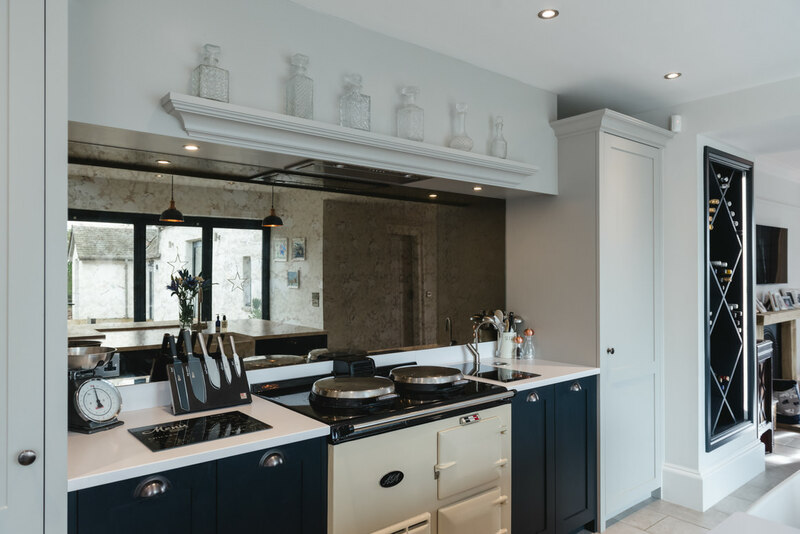 Emma Ellson’s Bespoke Glasgow Foggyhillock renovation is featured in Homes and Interiors Scotland. 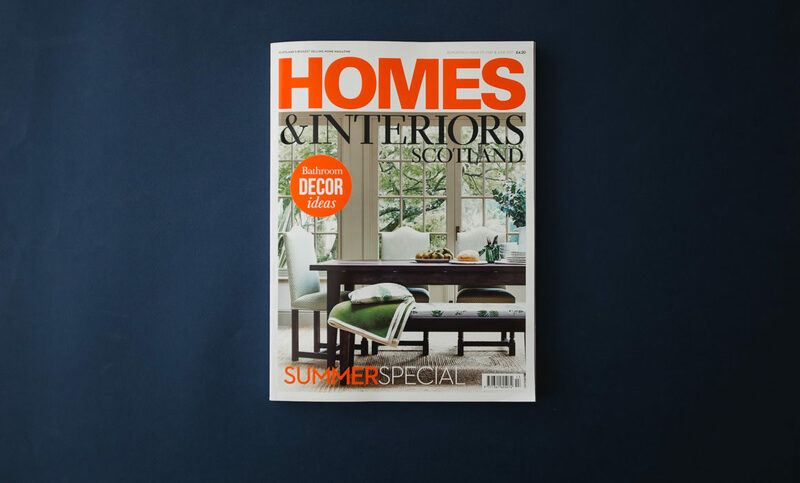 I am delighted to have a feature with Emma Ellson from Bespoke Glasgow in the May/ June issue of Homes and Interiors Scotland. 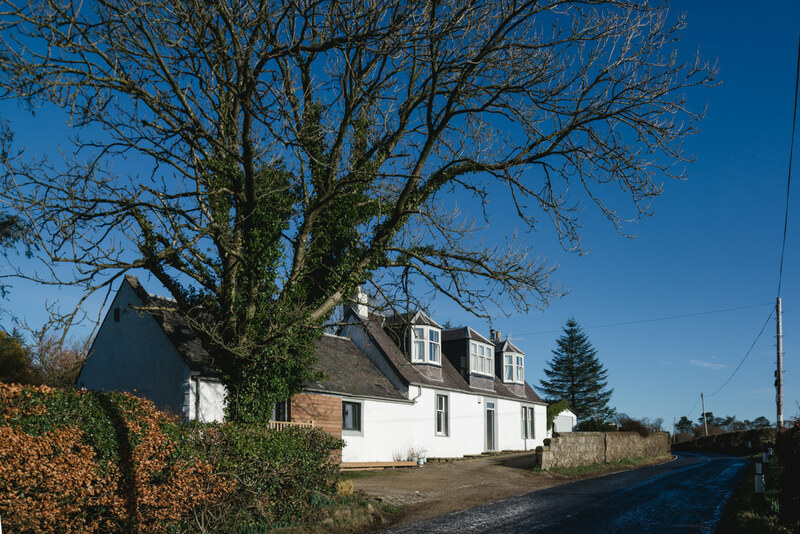 I was asked to photograph the refurbishment and new extension of the farm house and byre Foggyhillock in Stewarton. 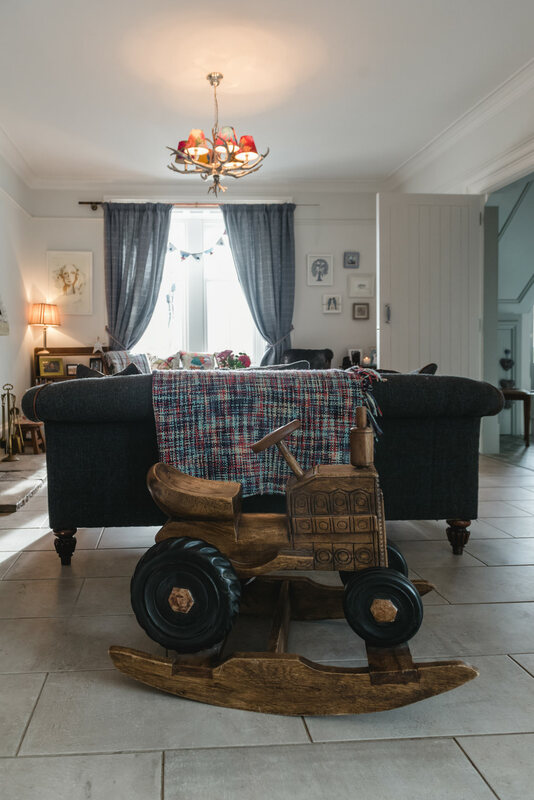 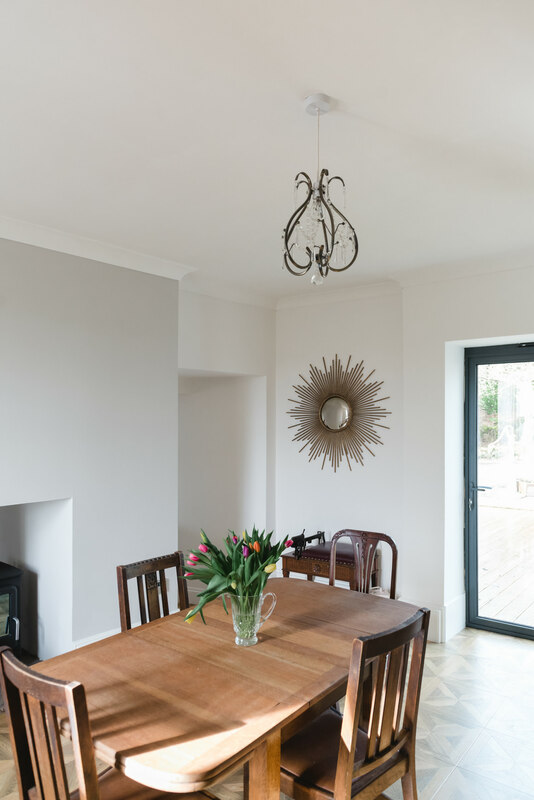 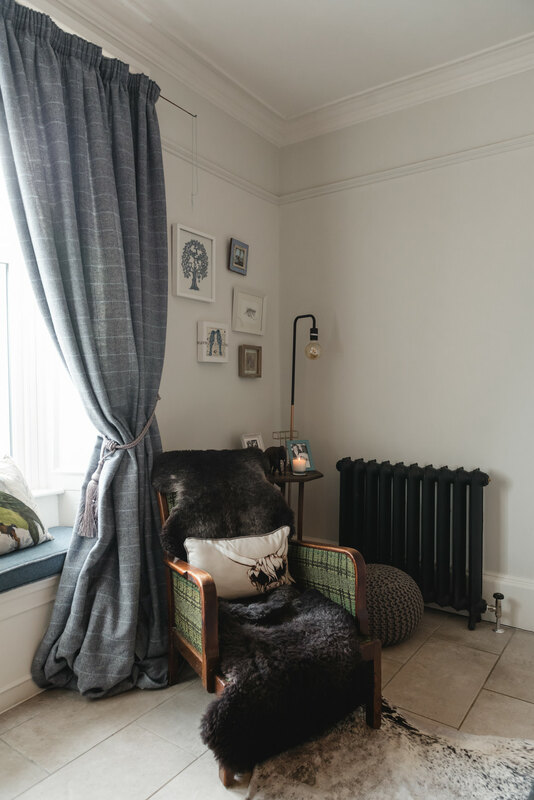 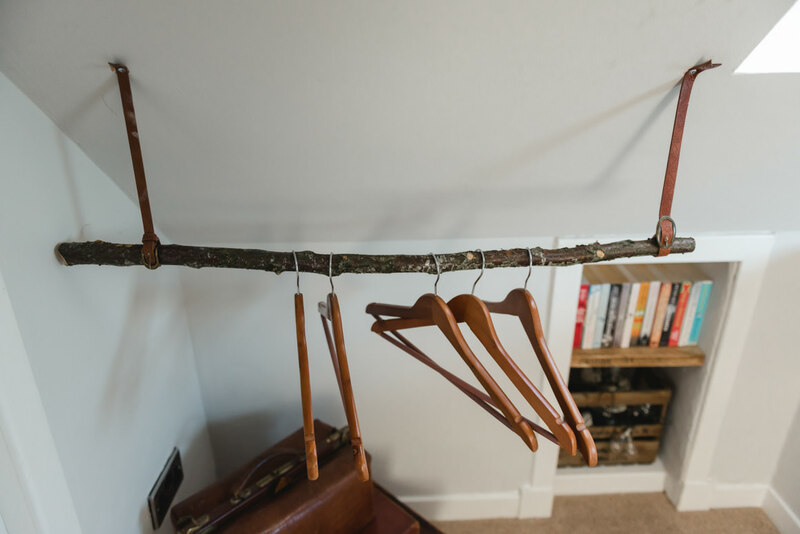 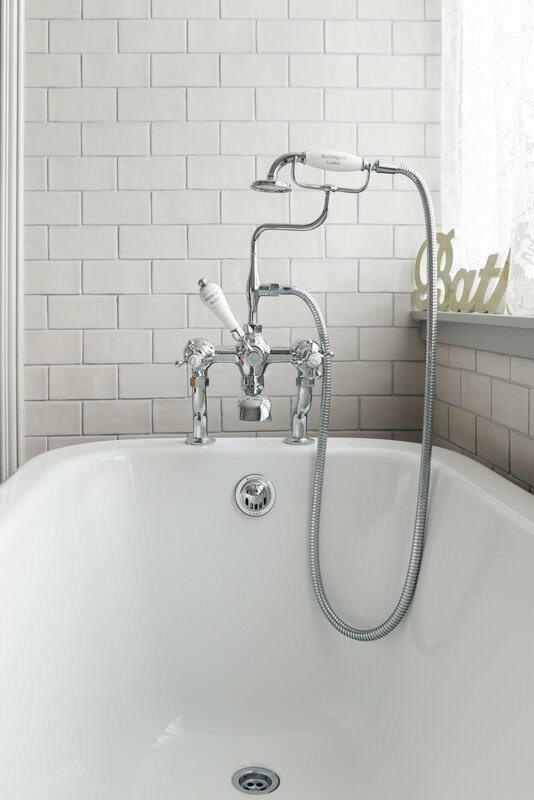 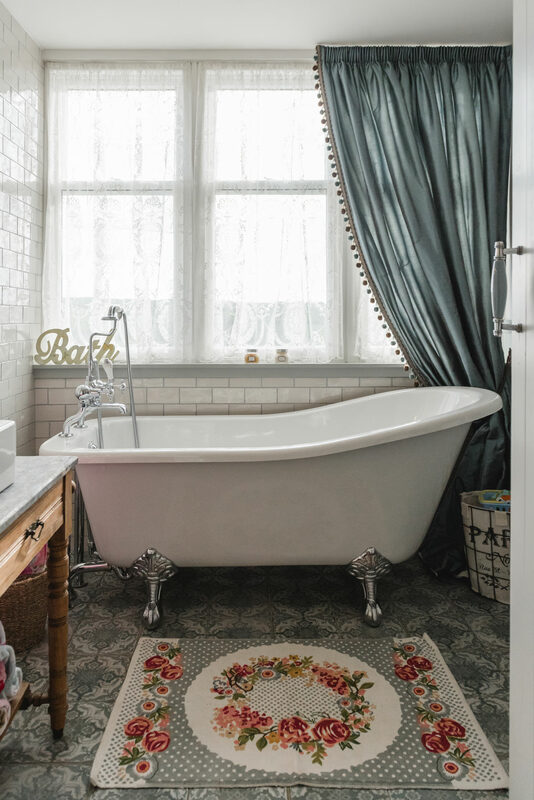 The house has a beautiful mix of antique vintage furniture and contemporary Scandinavian inspired finishes. 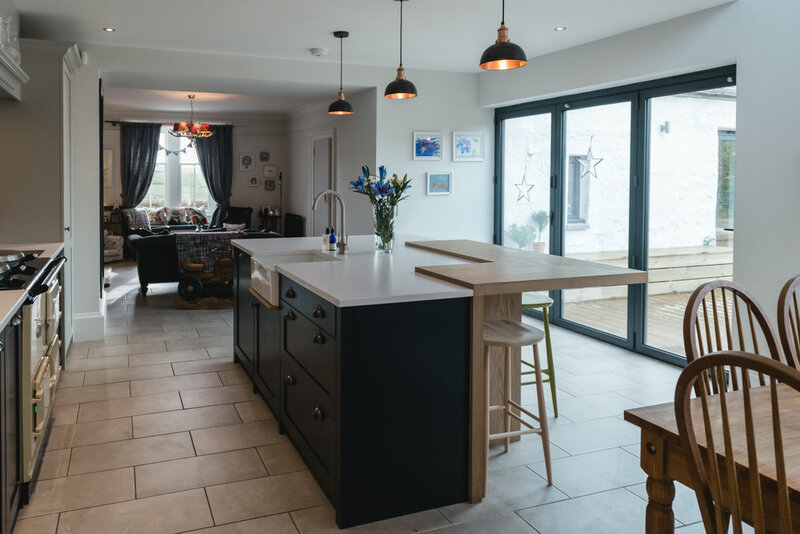 Emma had added a new wing onto the existing building which contains a new large kitchen, dining and living space. 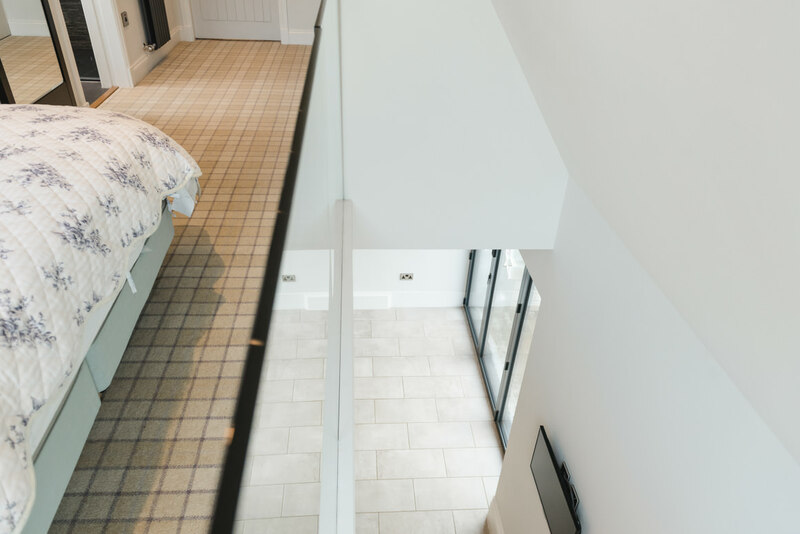 Above the kitchen is a new master bedroom with a glass balustrade over looking a double height void into the kitchen. 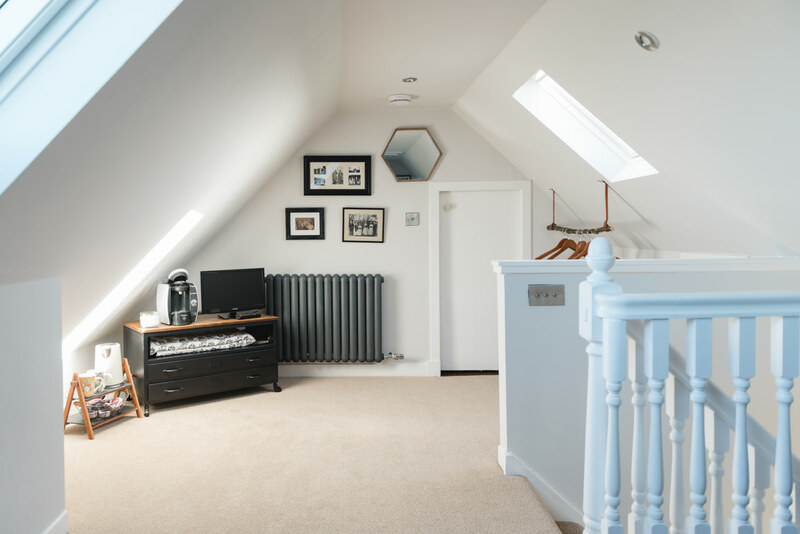 Another 2 bedrooms are above the open plan space as well as 2 new bathrooms. 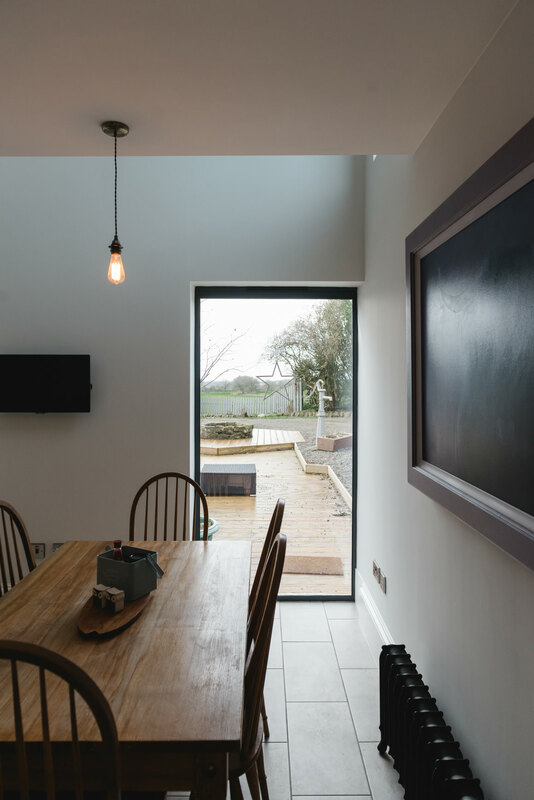 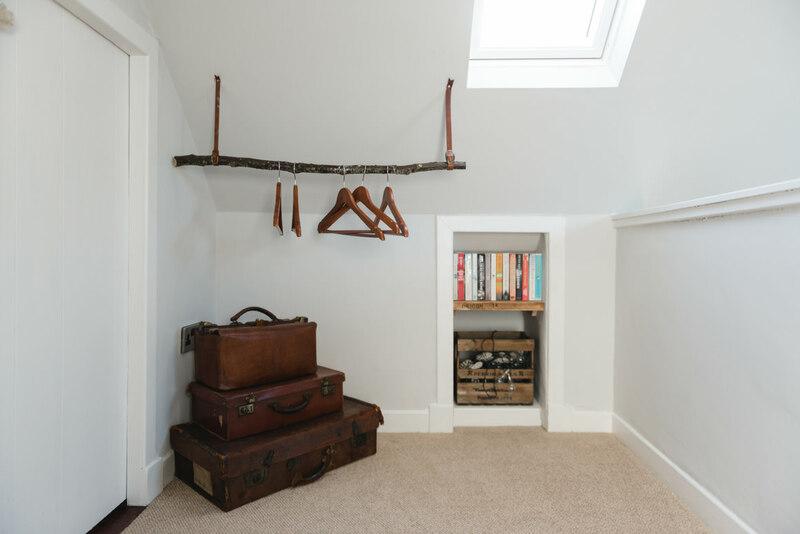 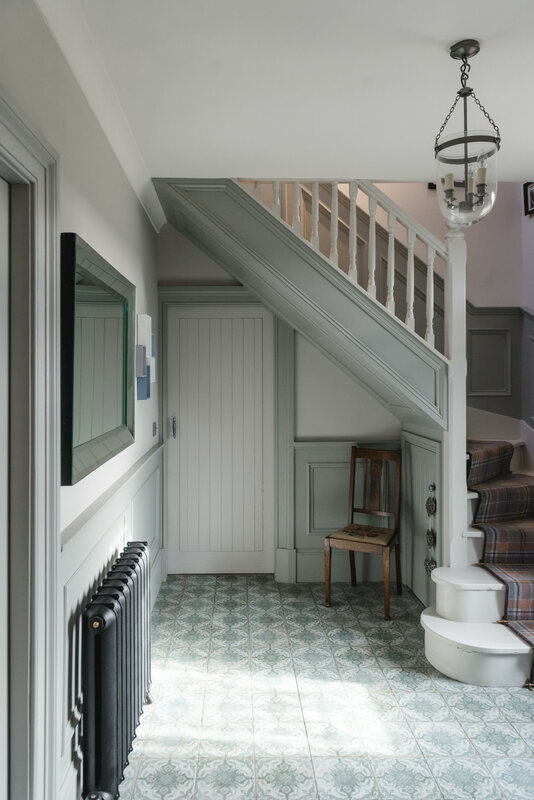 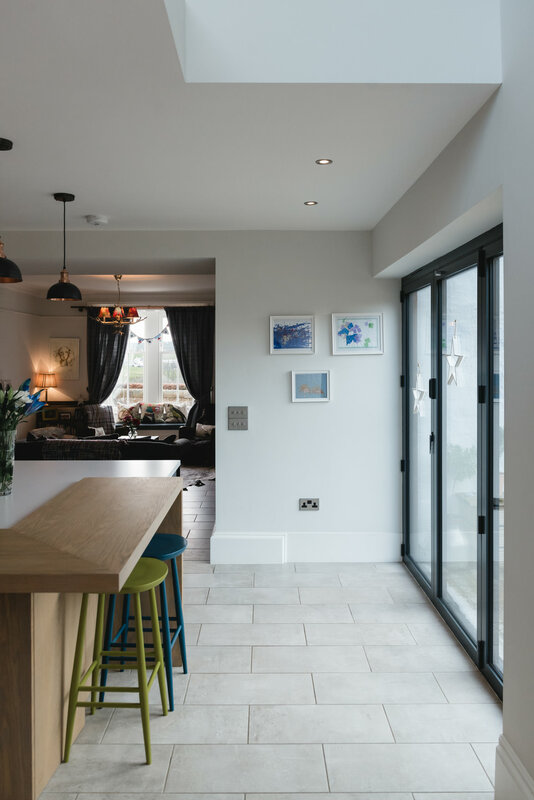 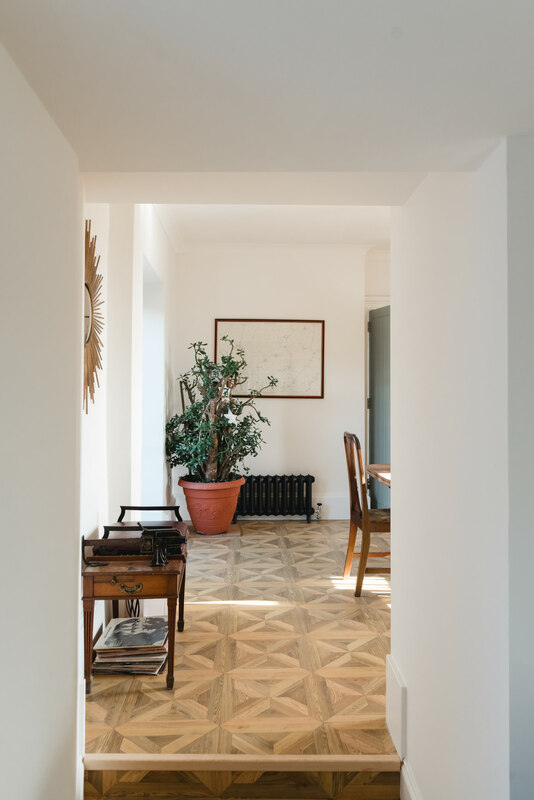 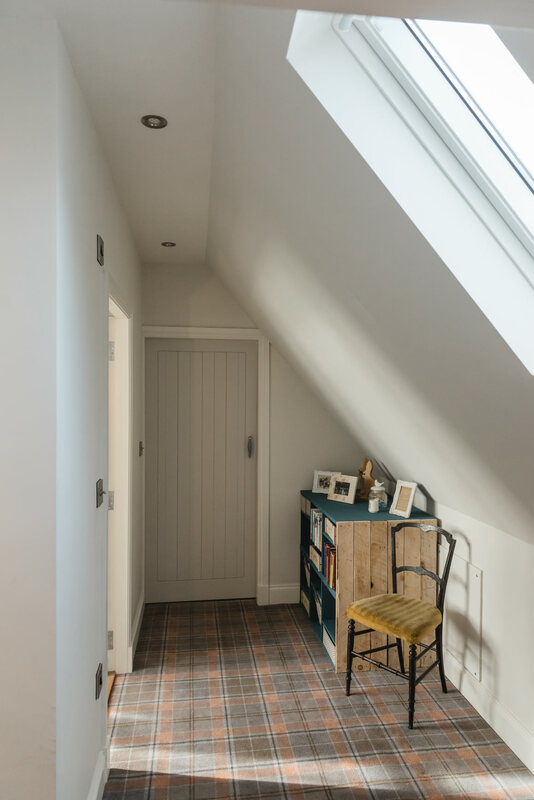 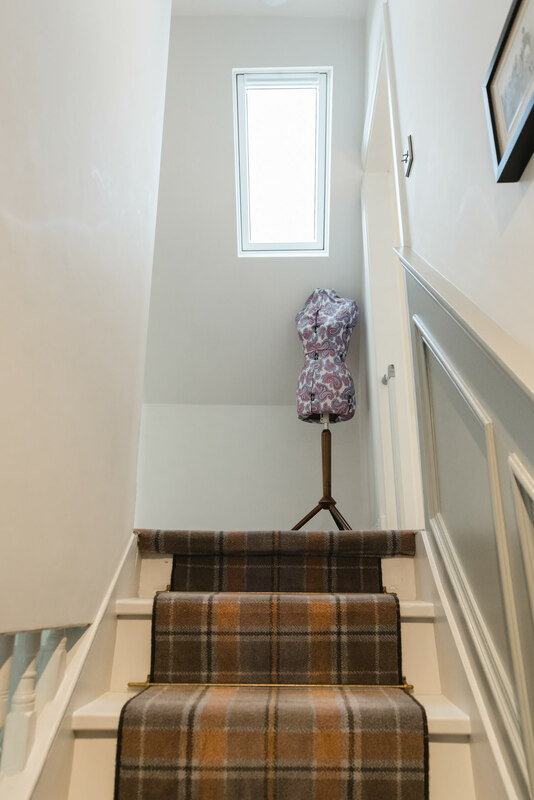 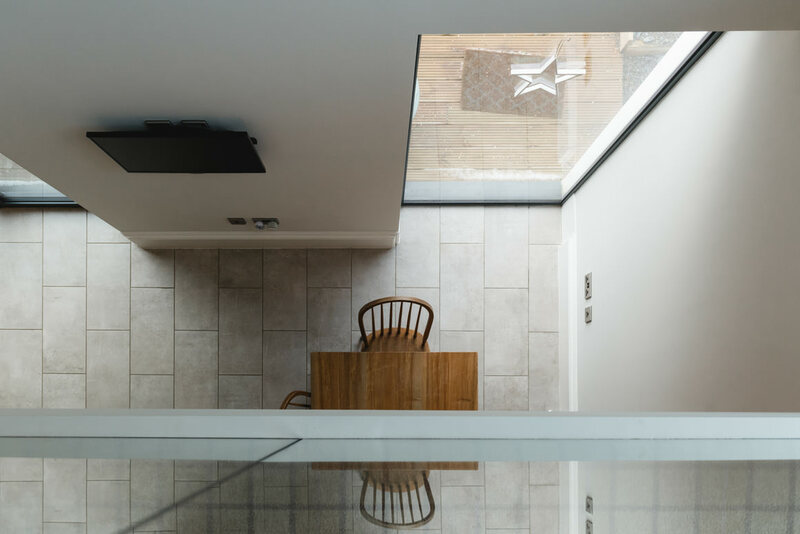 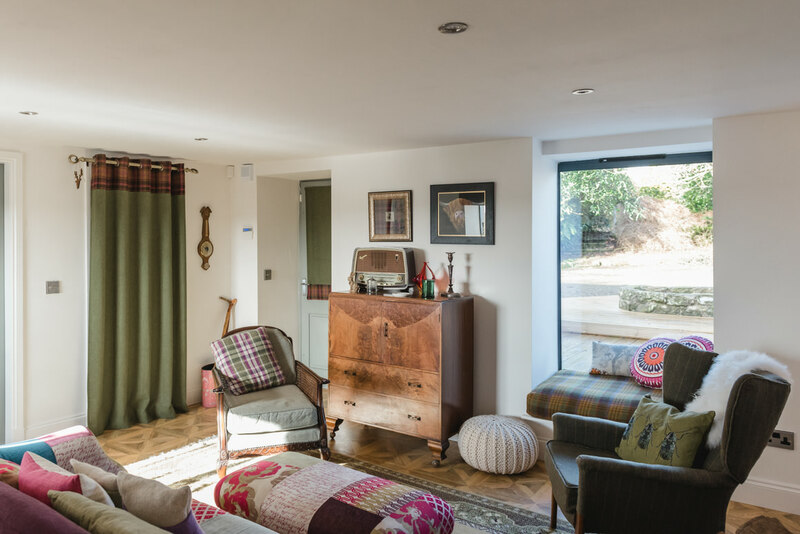 The house has many creative touches and blends the vintage pieces with the modern design through the building into the new extension. 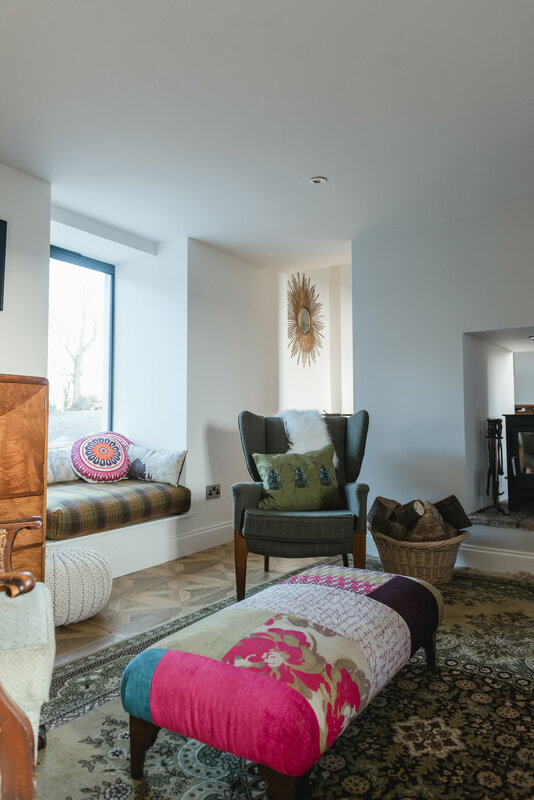 The formal lounge and dining space located in the old farm byre are more vintage in style. 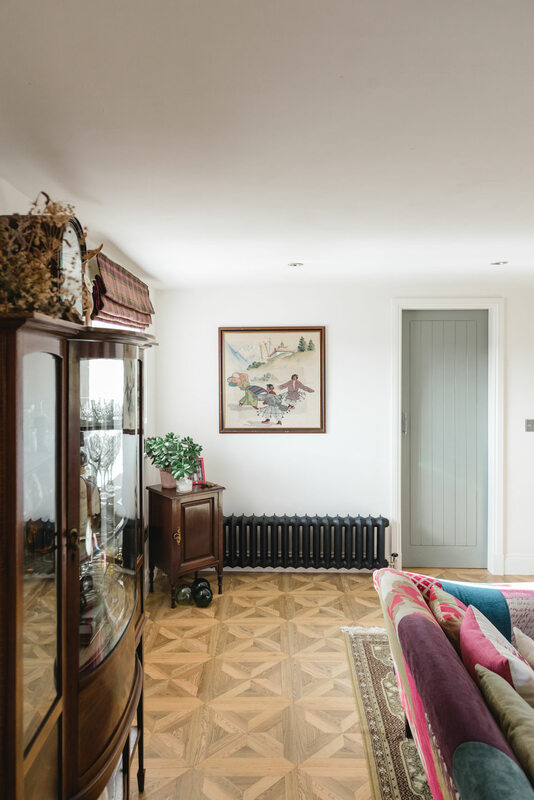 The rooms are divided by a wood burning stove while the beautiful stuart oak parquet flooring runs throughout. 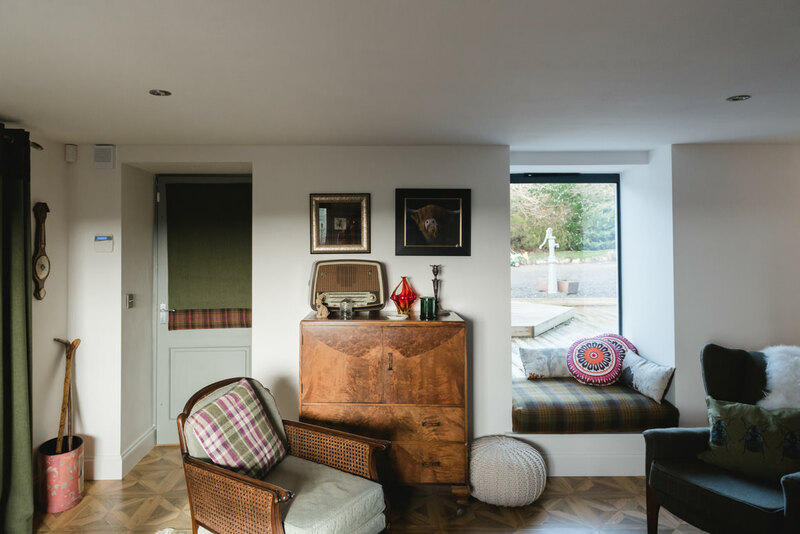 Donegal Tweed was used for the curtains and window seat. 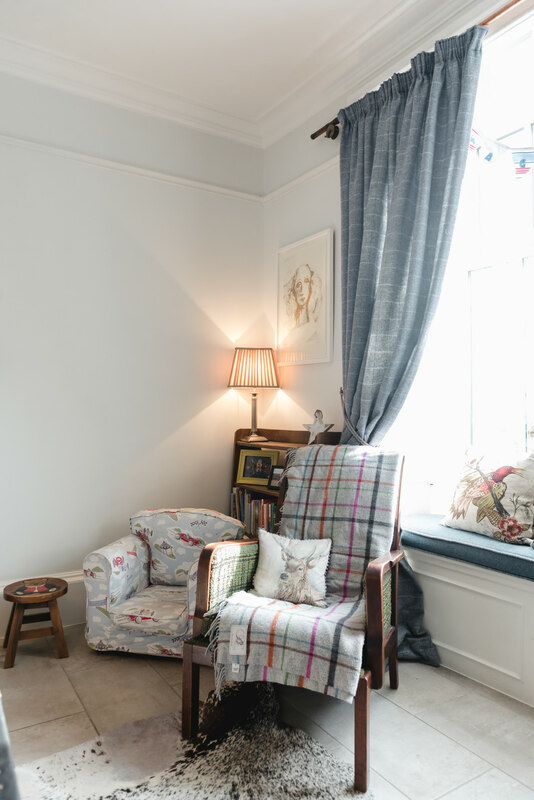 The armchairs came from Priory Antiques in Whithorn and accessorised with Timorous Beasties fabric cushions. 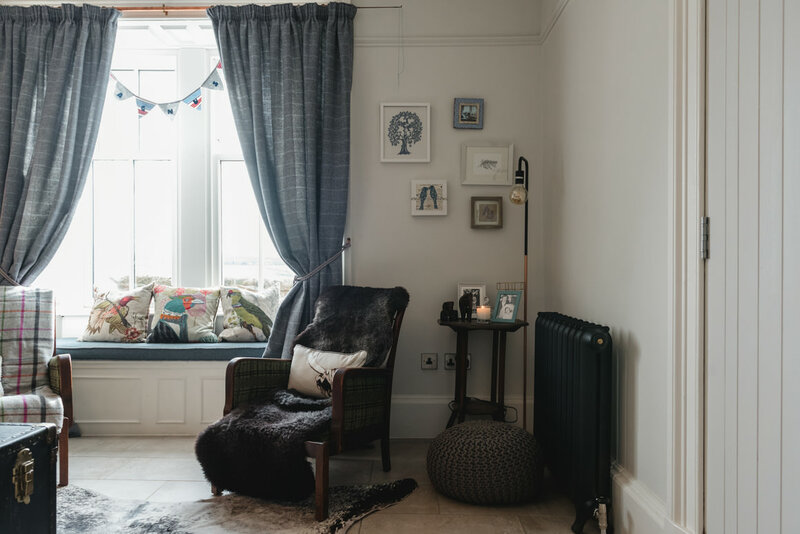 The colourful sofa and footstool are from DFS but bought from gumtree. 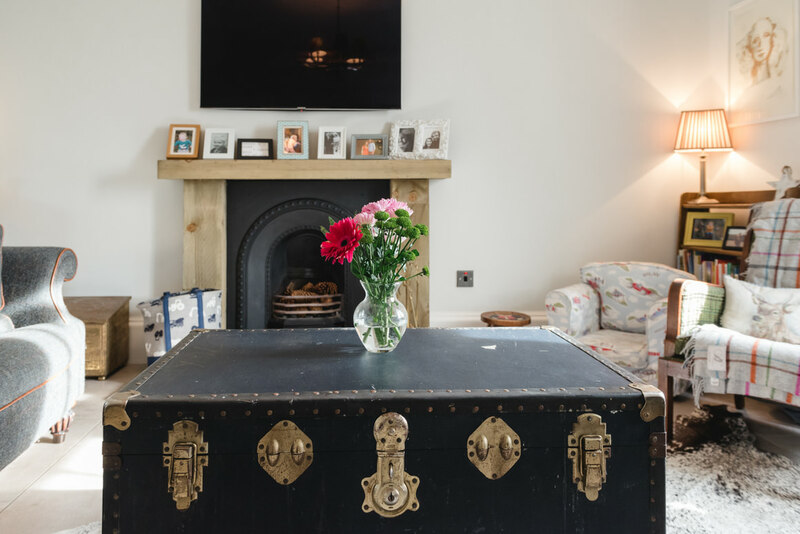 The furniture to the dining room is all vintage including an old weighing chair from the client’s Grandfather’s surgery and and art deco unit for the TV. 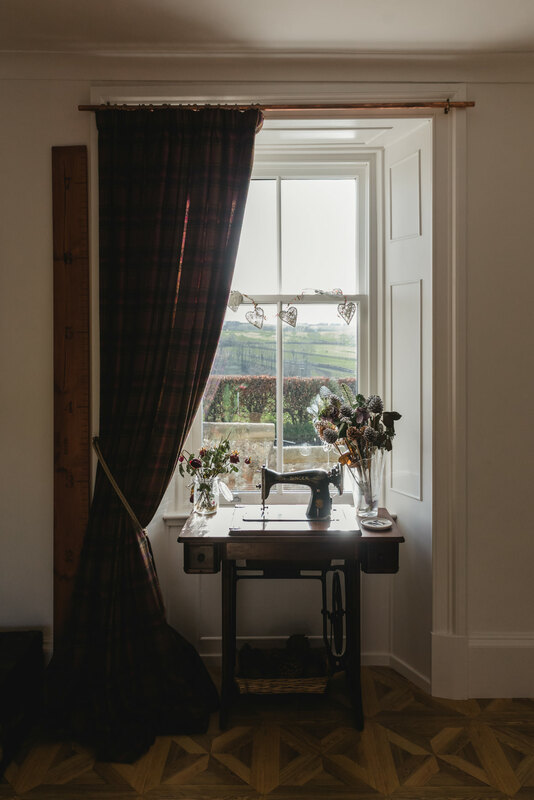 The old Singer sewing machine was found in a Salvation Army shop on Dumbarton Road. 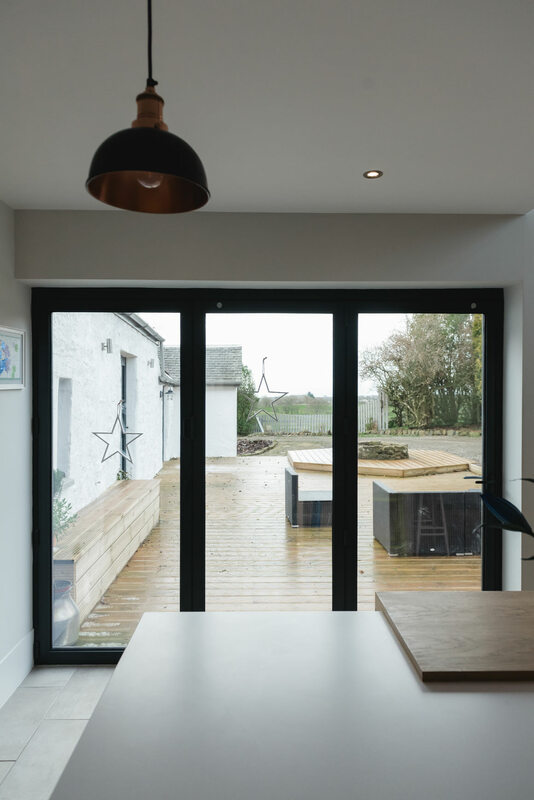 The kitchen is by Murray and Murray and has large picture frame windows with views out over to Arran. 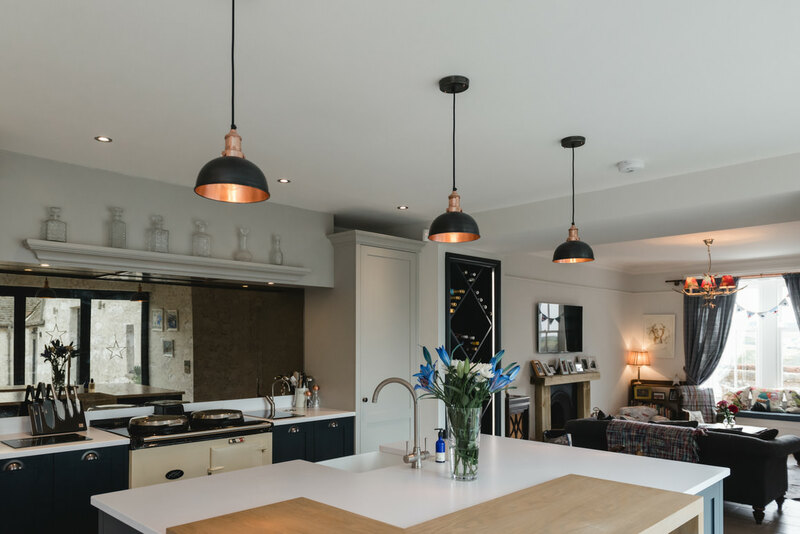 The kitchen is a modern farm house with lighting from Industville. 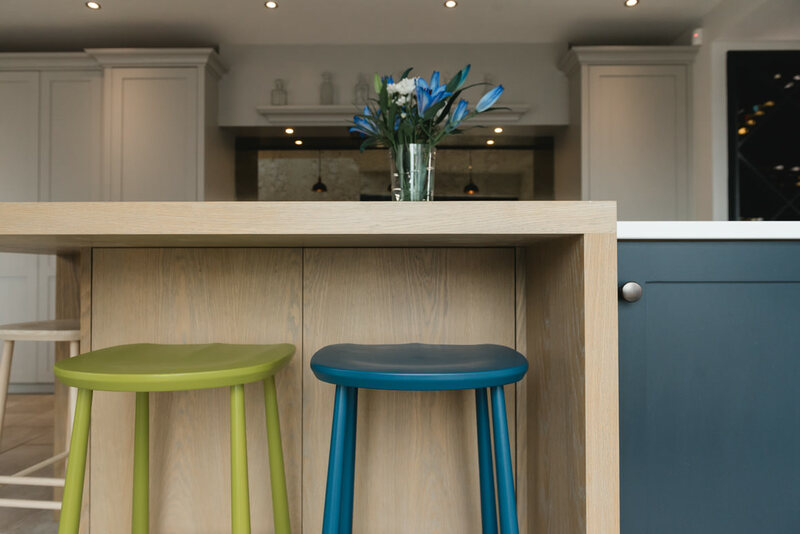 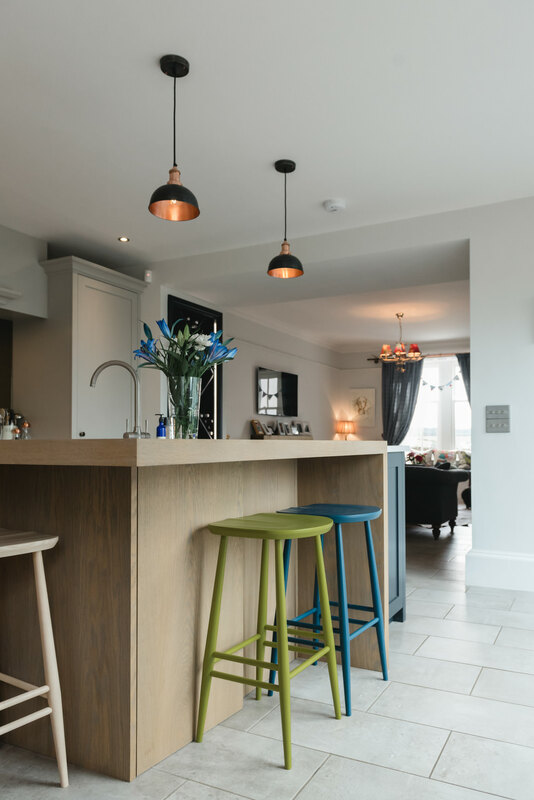 The bright coloured tall bar stools at the kitchen island, are by Ercol, contrast the timber and white worktop. 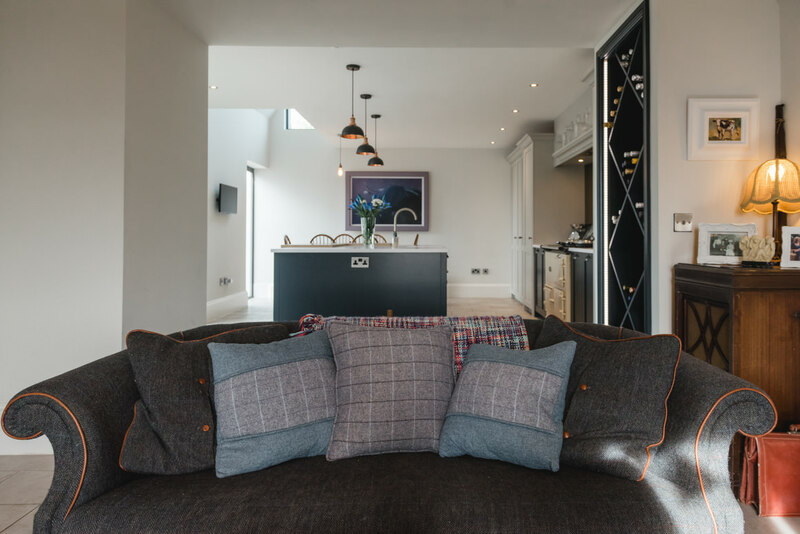 The open plan living space continues the vintage and tweed accessories. 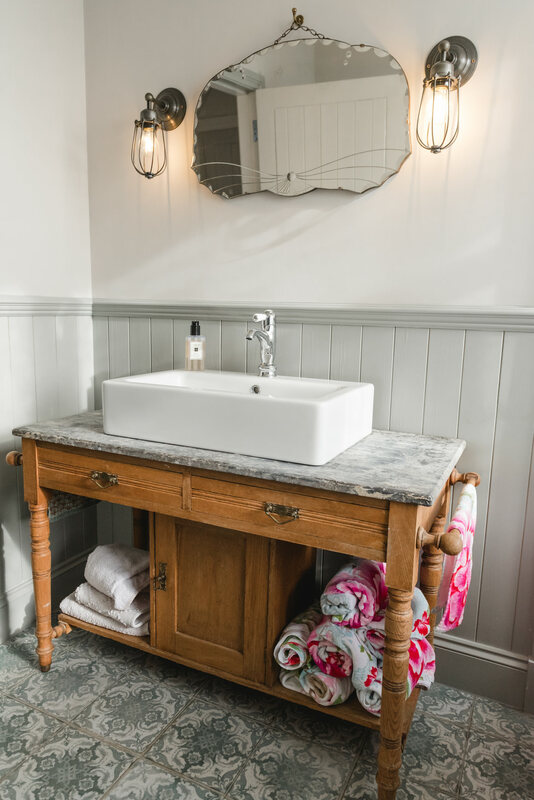 I was delighted to see the same vintage and marble standard lamp from Aldi that I had purchased before Christmas! 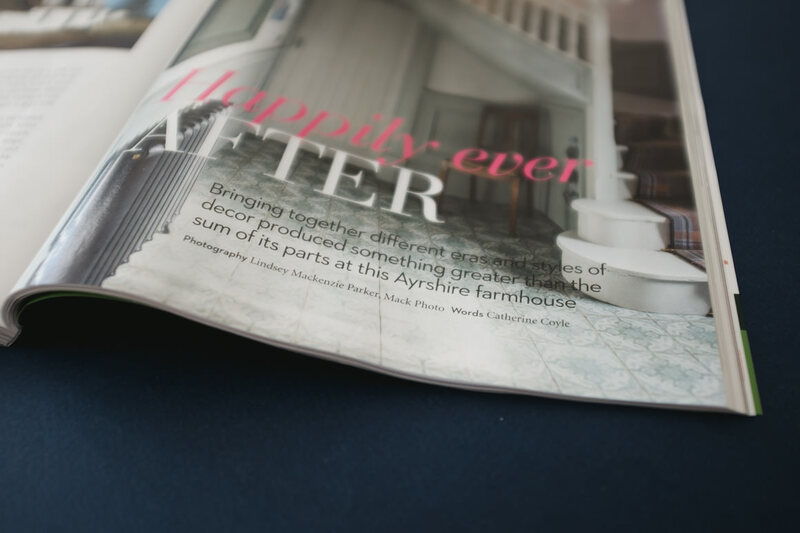 To read what the Clients and Emma have to say you can still pick up a copy of this issue of the magazine. 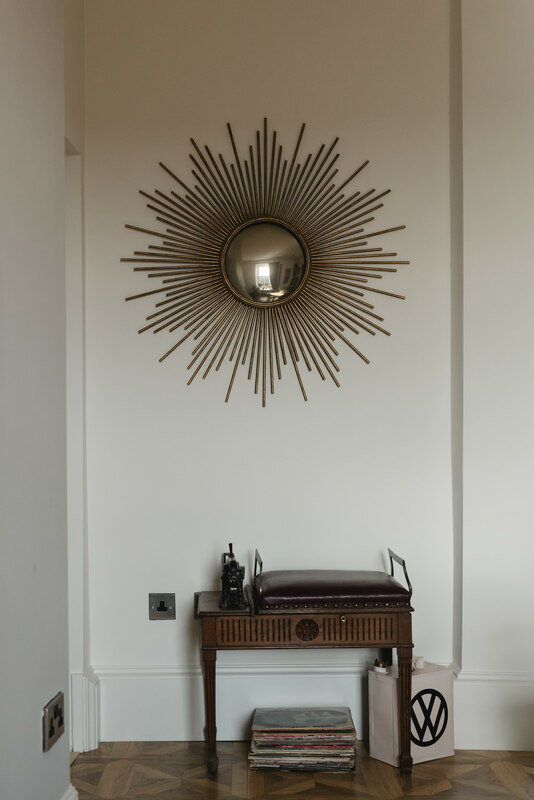 Below are some more photos from the project.